Luxury watch company TAG Heuer and its celebrity spokesman, Leonardo DiCaprio, have come together again to promote a clean environment with Basalworld’s tour of the fully electric Tesla Roadster sports car. 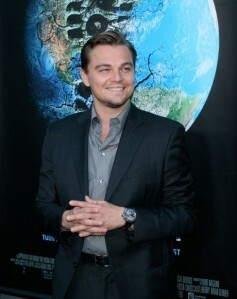 DiCaprio has helped make the TAG Heuer brand famous with his promotion of the Aquaracer 500M timepiece. His new venture into the world of Tesla should also prove to be a fruitful relationship, especially since he is the proud owner of a Toyota Prius and a Tesla green car. TAG Heuer is also no stranger to environmentally friendly practices and adheres to strict policies with in its manufacturing plants and products to have minimal impact on the earth. The Aquararacer 500M timepiece is one such item that has built to last for generations in order to minimize waste. The TAG Heuer Tesla Roadster has been promoted since the beginning of the year starting in Switzerland. The tour will continue throughout the world in an effort to promote electric car technology and new ways to preserve the environment. The TAG Heuer, Tesla, DiCaprio partnership is a green match made in earth friendly heaven.